What Is Missing Most in Aviation Safety Reporting Systems? Without an effective hazard/safety reporting culture, there is no way that any aviation service provider can demonstrate continuous improvement to their aviation safety management system (SMS). Aviation safety professionals know continuous improvement of the SMS is the third element of "safety assurance," which is a required and demonstrable activity in an ICAO compliant aviation SMS. Hazard and safety reports are necessary. If you want a quick win and don't want to read further, see some best practices for hazard identification. Otherwise, you may be interested in learning what are the essential components of an aviation safety reporting system that allows stakeholders to report safety concerns, including hazards that may manifest themselves into "The Accident" that we all fear, but don't know when and where it will occur. Reported data from hazard and incident reports support safety risk assessments and risk mitigation strategies. The best source of raw safety data is direct reporting by front-line personnel. Front-line employees are naturally positioned to observe hazards as part of their daily activities. A safety reporting system allow aviation service providers to collect occurrence data and manage associated risk using established risk management processes. Hopefully, the risk management processes are documented in your SMS manual, otherwise, you will be like hundreds of other operators and get an audit finding based on not following procedures outlined in the SMS manual. This is the most common audit finding I've seen in the past dozen years. 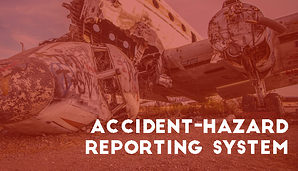 Most of us can intuitively conceptualize what makes up a safety reporting system; however, most will stop short and not realize the complete picture. To properly understand what is an aviation safety reporting system, it is better to break down the individual components of this system. If I were not an aviation safety professional, my mind would have stopped at the first point. Would you have thought this out to completion? Finally, graphical reports allow managers to make informed decisions and introduce change. However, the most important information gleaned from these reports will be SMS performance monitoring data that must be regularly reviewed by the accountable executives. Monitoring the performance of the SMS is critical for accountable executives to monitor their responsibilities to the SMS and to address any shortcomings that are identified. The logical mind will say, that is great, Chris. We have tools to manage the reported safety concerns. And we have charts and pretty pictures so management knows where to focus their risk management efforts. Q: What is missing in most safety reporting systems? A: Safety promotion tools to constantly encourage those front-line employees to continue reporting. Safety promotion tools close the loop and sustain the safety reporting process. Identification badges with the URL to your hazard reporting system. Healthy safety reporting cultures are among the biggest challenges faced by aviation service providers around the world. Oddly enough, safety culture is not a requirement from any of the civil aviation authorities, but safety culture can be measured. I can look at any aviation SMS and immediately tell what sort of safety culture is present. How many safety reports are in the system? What types of safety reports? How many close calls are reported in your company compared to reported safety concerns that actually caused damage? Most aviation service providers remain in the reactive risk management mode, while a small percentage are actively engaged in proactive risk management. Of course, getting the real benefits from predictive risk management processes continue to elude the majority of aviation service providers because they still don't have adequate SMS data management strategies. I see this daily, because I monitor hundreds of SMS databases. Chances are that your company needs help with a consistent, effective safety promotion program. Or you may lack an easy way for employees to submit safety concerns. Efficient data management continues to be the number one reason aviation service providers are unable to maximize the benefits of aviation SMS implementations. 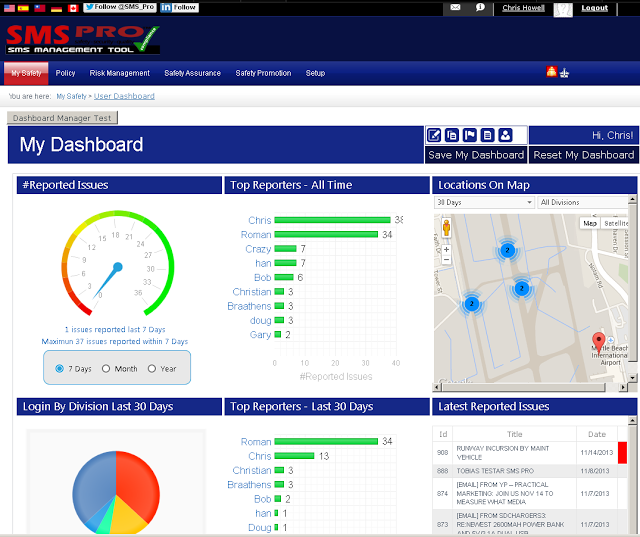 To see the components of an aviation safety reporting system in action, request a live demo. I'll share my desktop with you and your team for an interactive discussion. First, watch these short demo videos in order to prepare yourself to ask the "right questions." After watching the videos, does it look like we are a good fit? Have questions? 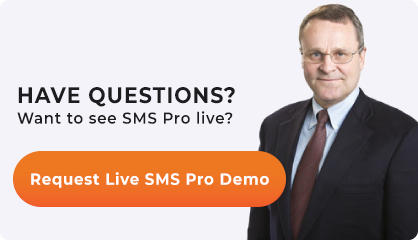 Sign up for a live demo. Published March 2016. Last updated January 2019.